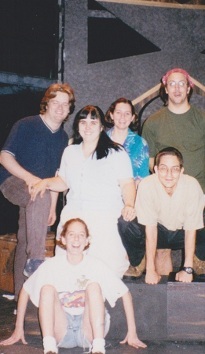 Rorschach Theatre was founded in the summer of 1999 by four young Washington DC theatre artists, including the current Artistic Directors Randy Baker and Jenny McConnell Frederick as well as Set Designer Jordana Adelman and Director Jason Gots. 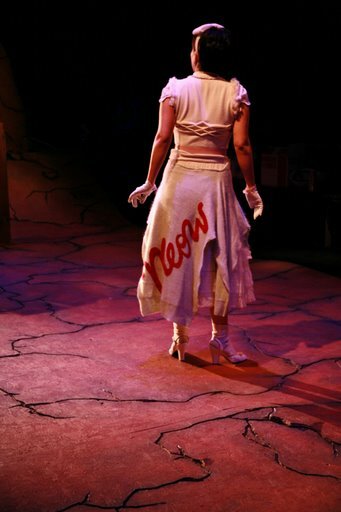 Following the success of the company’s first production, Eugene O’Neil’s The Hairy Ape, the company quickly took something that could have been a detriment — the lack of a permanent performance space — and turned it into a major asset by seeking out non-traditional places to create theatre. In the company’s first three years performances took place in the glass-walled greenhouse on the roof of the former Hechinger Building in Tenleytown, Signal 66 Art Gallery — a former livery stable in Blagden Alley, the cavernous forgotten auditorium of Randall Junior High in Southwest DC and the beautiful art deco 16th Street Lobby of the DC Jewish Community Center. As Rorschach Theatre’s directors, actors and designers strove to create productions that would compliment, enhance and interact with these remarkable spaces, a clear aesthetic began to evolve. The style that has resulted is one of powerful, kinetic performances and fantastically realized design elements, that seek to convince audiences that one does not go to the theatre out of obligation, rather out of a craving for exhilaration – to connect with something larger than oneself. Though Rorschach no longer performs in greenhouses, an important part of its mission remains the uncommon use of space, constantly challenging perspective and traditional notions of what a “stage” is, performing above, behind and very close in front of audiences. In 1999, the four artists that began Rorschach Theatre decided that theatre should be an event. As the company’s aesthetic and play choices continue to evolve, this idea remains true.